Last week Dave and I dropped the boys off at my mom’s and while there she showed me a bunch of old pictures. They were tiny tiny copies of the originals. I quickly pulled out my cellphone and snapped a few copies of my own. 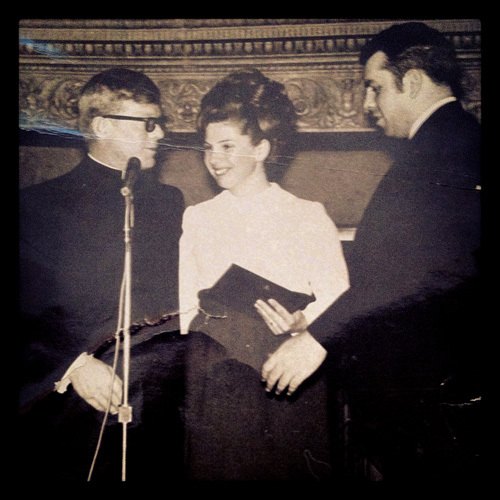 Here she is with me dad and a priest. She is beautiful. I do not know my dad. His name is Will.